DETROIT (Bloomberg) -- BMW wielded an unlikely tool to hold onto its crown in the U.S. luxury-car market last year: the loaner. BMW paid its dealers as much as $1,750 a vehicle in December to put new models in their service fleets, the cars owners use when their Z4 convertibles or 7 Series sedans are being worked on. Dealers booked the sales immediately, and the deliveries helped the company hit its target, said the people, who asked not to be identified because details of the strategy are private. 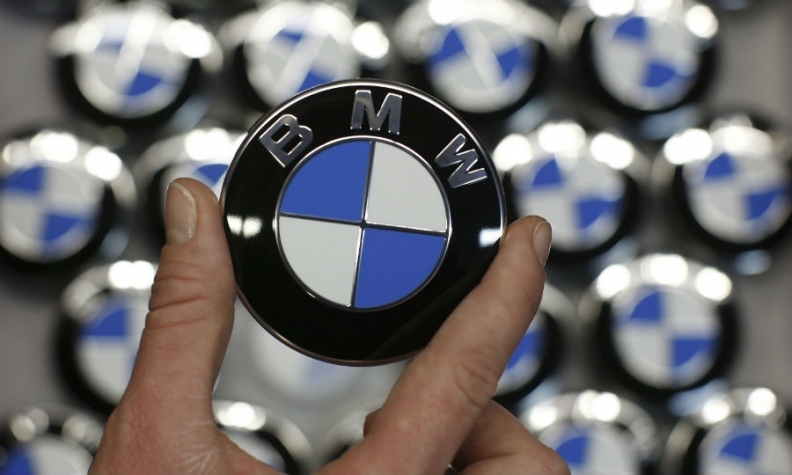 BMW, delivering 346,023 vehicles, beat Lexus for the year by about 1,400 cars and Daimler AG’s Mercedes by almost 3,000, setting a record for its U.S. sales, according to the Automotive News data center. All three automakers have loaner programs, but “BMW has been pretty aggressive,” said Frank Ursomarso, who owns dealerships in Wilmington, Delaware, selling BMW, Honda, Buick, GMC and Volvo brands. BMW typically runs its incentives at the end of every quarter or a few times a year, one of the people said. Mercedes, which also offers incentives to its dealers, does so about every six months, said Jeff Aiosa, owner of Carriage House Mercedes- Benz in New London, Conn., and the National Automobile Dealers Association brand representative to Mercedes. Lexus allocates cars to dealers to put in their loaner fleets and charges them a subsidized lease rate, according to Maurice Durand, a company spokesman. Dealers then sell the vehicles on their used lots after at least a year of service, said Peter Blackstock, who owns Lexus Monterey Peninsula in Seaside, Calif., and is the NADA’s Lexus brand representative. He keeps these models as loaners for about 18 months. BMW also outspent its rivals in December on incentives to consumers, providing an average of $5,169 a vehicle on discounted lease deals and rebates, about $600 more than Mercedes and $1,400 more than Lexus, according to Autodata. BMW spokesman Kenn Sparks declined to say how much the loaner program helped sales, but these vehicles “are an important part of BMW’s customer-satisfaction and marketing plan,” and the company does periodically give dealers incentives to put new cars in their fleets, he said in an e-mail. Sparks said the program is part of an effort BMW started about two years ago to improve the retail experience. The company has been pushing dealers to keep their loaner fleets flush with new cars to show off the latest styles and creature comforts to owners of older BMW models, Sparks said. BMW also has given dealers incentives to spruce up showrooms and added the BMW Genius: a customer-service representative in every dealership who answers questions without trying to make a sale. While customer service is part of the reason for the incentives, the loaner program likely did help BMW win the sales crown, according to Eric Lyman, senior analyst with TrueCar Inc., an automotive-pricing company in Santa Monica, Calif.
IHS doesn’t count all the cars sold to dealers as new-vehicle registrations, in some cases because buyers haven’t taken possession of them yet, said Tom Libby, manager of loyalty solutions at IHS. But this doesn’t necessarily mean BMW needed the loaners to win, he added: Sales in late December might not show up in state registrations until the next calendar year. BMW pays dealers $200 or more a month for depreciation on each loaner. When they’re resold, they’re discounted to account for the miles driven and reduced warranty. Some dealers advertise them as “retired courtesy cars” that are newer than used models but still offer big markdowns. Passport BMW in Suitland, Md., has several pages of these vehicles on its website, including a 2016 535i xDrive sedan with 9,835 miles for $53,750. “You Save: $10,945” it says in bold black letters.